In late 2011, Static were invited by Bill Drummond to curate The Curfew Tower residency and art project, Cushendall, Antrim for 2012. The idea for the 2012 Curfew Tower residency programme was to invite a range of disciplines (artists, architects, musicians, academics, curators, writers etc) who stayed from 1 day – 3 weeks (as in our experience most invited residents couldn’t commit to over 1-2 weeks so this offered the possibility of short burst high intensity visits). 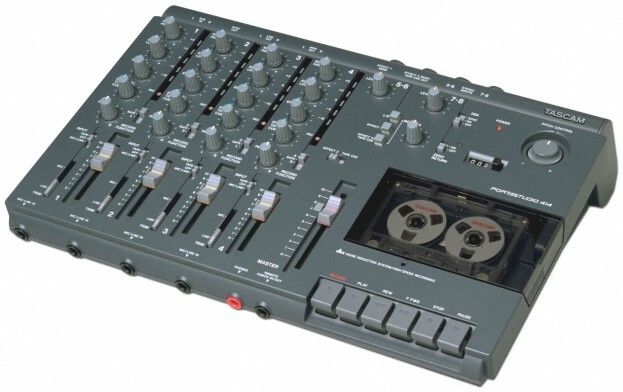 We asked the residents to make a ‘field recording’ on a Tascam Multi-Track Cassette Recorder. Accompanying each recorder was a User Manual. The recordings on tape were collected between each residency as each participant sent the recording to Static. Paul Sullivan (STATIC), Ade Blackburn and John Hartley (CLINIC) edited the tapes in June 2013 and produced the Curfew Tower Record. The production of the record also referenced Drummond’s own music industry history as well as providing a deliver mechanism for the ideas of the invited residents. On the 5/6th August 2013, Static put 31 copies of the record (all with original cover artworks – 15 signed, 16 unsigned) on an e-Bay auction sale. This element of the project examined the relative fame/celebrity of the recording artists as the records were bought without ever being listened to. The auction happened at the same time of the ONLY ever live radio broadcast of the entire unedited field recordings in their raw state. The broadcast had a 2-mile radius and was transmitted from a location in Cushendall on the morning of the 7th August 2013. To listen to the live event the audience needed to be in the transmission radius thus the project investigated invisible geometries and the movement of people from the outlying towns and cities who may have made their way to listen to the piece. The project also examined who controls the radio waves in Northern Ireland. 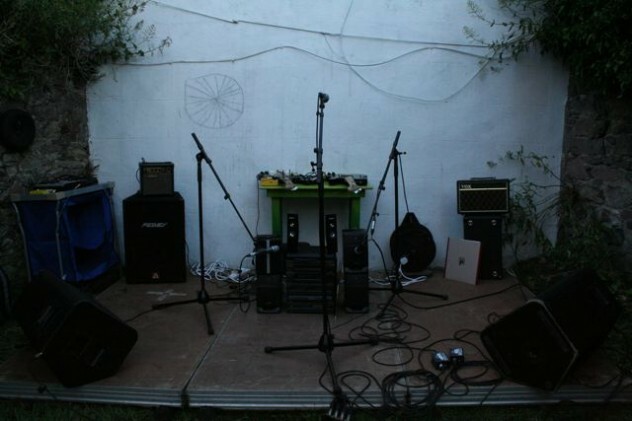 Also on the 7th August, Static/PRODUCT Records and Bill Drummond organised a gig in the garden of the Curfew Tower. Normally the residency asks visual artists to make work that is then presented to the people of Cushendall the following August for them to select their favourite artwork. In 2013 the decision was made via a name out of the hat (won by Ex-Easter Island Head) as the normal orthodoxies of voting for a favourite artwork were simply bypassed as the only artworks were the individually designed front covers of The Curfew Tower album (each sold at a flat rate of £10.00 as opposed to the auction system on eBay) and a live gig. The gig on the 7th August 2013 consisted of live performances from Ex-Easter Island Head, Easterjack, Jinx Lennon, a collaboration between Damon Fairclough and CLINIC and a set from Tenzing Scott Brown and Johnny Gauld. Read a review on page 12 of BidoLito music magazine. Footnote: On the 19 January 2016 Static launched a final eBay Auction selling the final 14 signed copies of the album. Paul Simpson, SINGERSONGWRITER, Liam O’Callaghan, Paul Sullivan, Tenzing Scott Brown. The album overlays eighty minutes of field recordings into a forty minute album. The Curfew Tower album was also the first release on the Liverpool based record label PRODUCT Records.PRODUCT1/The Curfew Tower was mixed by Ade Blackburn and John Hartley (CLINIC) Paul Sullivan (STATIC). Another element of the Curfew Tower project was concerned with finance/economy. As there was no real budget for visiting residencies, Static could only provide people with their accommodation at the Tower. There was also no real budget for Static Gallery to run the project, so some alternative economies had to develop. The plan therefore was to ask all participants to fill in a basic time-sheet which charted their time and put a numerical figure against this time/how much per hour. This was an examination of not just time/labour (immaterial labour) but also how each resident valued their time. Just before the e-bay auction in August 2013, we knew exactly how much we were in labour deficit by adding up all the residents hours. When we knew this figure we therefore knew exactly how much we needed to charge on e-Bay to break even. However, if the labour cost was too high, we would have had to make a decision on whether to try and make the break-even (thus imposing a minimum auction price) or leaving it to the logic of the free market auction place. In this way the value of the record was in the eye of the purchaser, as they considered the ideas of the physical artefact, celebrity and the signature. Thus the actual price paid, the real economic yield (the market value) which is beautifully demonstrated via eBay offered a reflective moment of how the public related to the artists valuation of their time. If the final auction goes beyond break-even (process currently ongoing), there will then be the division of profit to each resident which will itself be a reflective process given that the relative celebrity or hourly rate of the residents fluctuated.